We’re still a few months out, but Sony Pictures picked this week to kick up the marketing campaign for Chappie, the latest from District 9 and Elysium director Neill Blomkamp. We’ve seen a domestic trailer, an international trailer, and now a new TV spot. And the people behind the project are talking, too, shedding light on the process and story. This new commercial definitely plays up the action side of the movie, and if you’ve seen any of Blomkamp’s other films, you know that’s one of his strong points. It does, however, skip over what we expect to be the more central concerns of the film, the story and emotional component. 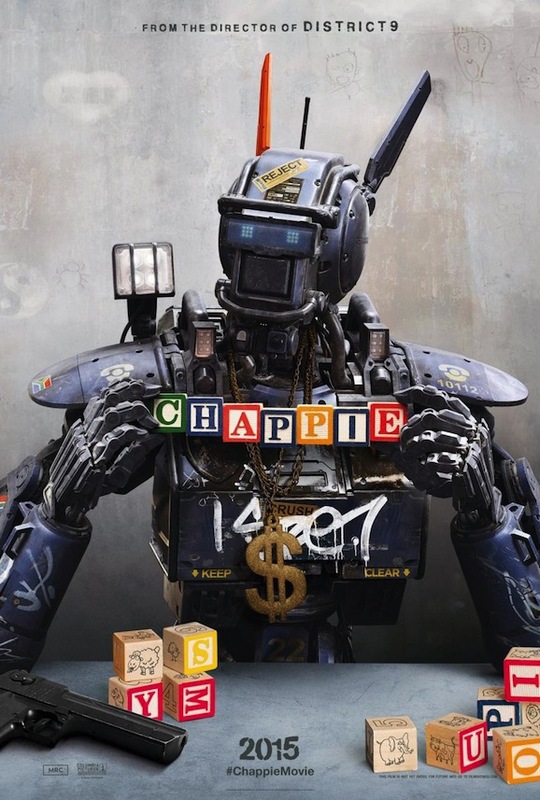 Chappie is just like any other child, curious, eager to learn and be loved, the only difference is, he’s also a robot. The first of his kind that can think and feel for himself, he faces all kinds of prejudice and obstacles, including fighting that huge, ED-209 looking robot. That’s going to be awesome on the big screen. With movies like Dawn of the Planet of the Apes and Guardians of the Galaxy, 2014 has seen a lot of debate about just how much an actor brings to a role in a motion capture capacity, and how much comes through. If this is any indication, that’s a topic bound to surface around Chappie as well. Frequent Blomkamp collaborator Sharlto Copley plays the title character, adding a childlike demeanor and voice, and an unusual movement to the character. Talking to Hero Complex, Blomkamp credits Copley for truly bringing the robotic character to life. He says, “The [primary] reason it feels real is Sharlto was there. The actor was physically interacting with other actors. There’s no tennis ball situation where they’re acting off of nothing.” There were actual physical models of the robots on set for the actors to respond to, and Blomkamp kept six of the Chappies for his own collection.